Many MSBA members work hard throughout the year to help expand access to justice to Marylanders of limited means. 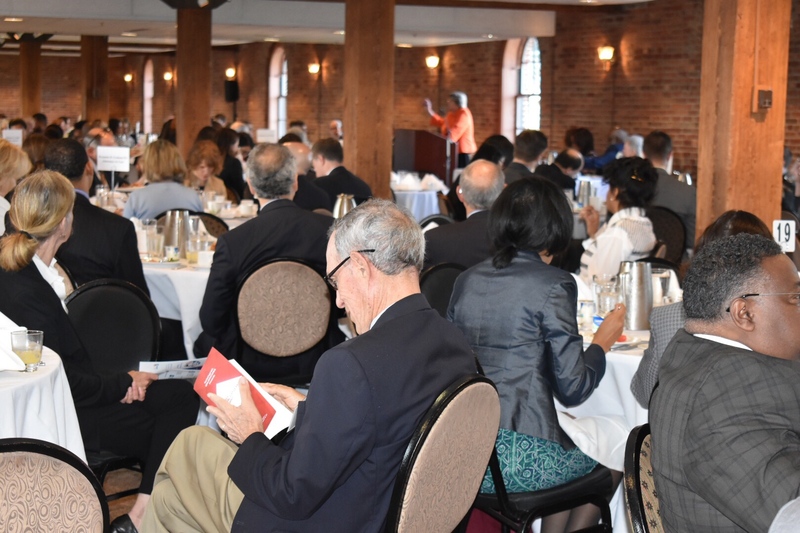 MSBA President-Elect Judge Keith R Truffer reaffirmed this support during his brief remarks at the 21st Annual Equal Justice Awards Breakfast, held June 6, 2018, at Camden Yards in Baltimore. “On behalf of the members of the MSBA, I salute and congratulate each of those honored at today’s award ceremony, and thank you for making a difference in the lives of those in our community,” said Truffer, who will succeed current President Sara H. Arthur when he is installed on June 16 at the close of the MSBA Legal Summit & Annual Meeting in Ocean City. Established in 1997 by Maryland private attorneys, the Equal Justice Council (EJC) is composed of civic-minded leaders in the legal and business communities who lend their time, expertise, and counsel to Maryland Legal Aid (MLA) in a variety of areas. The EJC’s primary goal is to promote equal access to justice by increasing and diversifying MLA’s resources, financial and otherwise, and serving as advocates and ambassadors on behalf of Maryland Legal Aid. Each year, EJC hosts the Awards Breakfast to recognize outstanding contributions on both the individual and organizational levels. MLA and the EJC also used the platform to announce the re-establishment of the Equal Justice Associates, a group of attorneys under the age of 40 who serve as advocates and supporters to help advance MLA’s mission of ensuring equal access to justice for all Marylanders. “Every single person in here has been a vehicle and an agent of change, and there are people who notice,” said Laura Coates, Esq., CNN Legal Analyst, best-selling author, and host of SiriusXM’s The Laura Coates Show during her keynote address, which focused on, among other things, the inclusion of marginalized populations in the legal landscape. “I’m so grateful to be here with you all today, to have had the opportunity to share my sincere gratitude for the work that you do,” added Coates.